Emotions, tirades, passion, sharp gestures, stomping, hot fever! I would add “flamenco”, but it is not Catalonia striving for independence from Madrid. 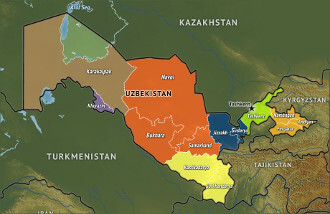 Another week rich with symbolic events in Central Asia is over, yet the picture remains obscure. The leadership of this region is reluctant to express its real emotions and feelings, but decisions show who they truly are, paraphrasing a popular fiction writer. 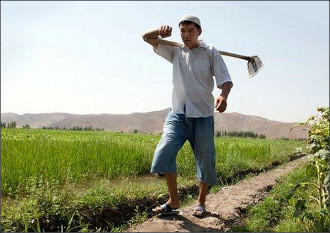 Kyrgyz traders who tried to cross the border with Kazakhstan have been sustaining huge losses; the Kazakh government refuses to pass the produce - mostly vegetables and fruits - on and through its territory, explaining their neighbour and partner in the Eurasian Economic Union (EEA) has no means to certify its stocks according to the norms of the EEA, as well as trying to smuggle products from China into the EEA. The situation around the presidential elections in Kyrgyzstan, scheduled for 15 October, continues to heat up. 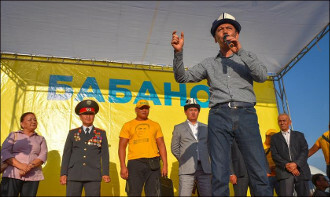 The national authorities themselves are afraid of possible unrest and external interference in the voting process, and the opposition expresses concerns by the flow of complaints about its principal candidate, Omurbek Babanov. Exclusively for Fergana, Elnura Alkanova talked to the member of the Central Election Commission of Kyrgyzstan (CEC) Gulnara Jurabayeva, who explained why rumours about the upcoming riots are groundless, what complaints on the candidates they received and why the power protégé lacks administrative resource to win. Election of the new head of Kyrgyzstan will be held on Sunday, 15 October. The closer the time of voting, the more bold statements the incumbent president allows himself. He managed to spoil relations not only with his former colleagues. 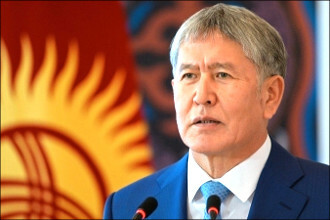 Speaking on 7 October, at the ceremony of awarding teachers, a little too passionate amid election, Almazbek Atambayev "hit" the head of neighboring Kazakhstan Nursultan Nazarbayev, having managed to insult not only the leader but the country and the government together. 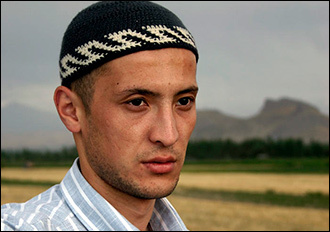 Religion has traditionally been a delicate topic for Kyrgyzstan. Even though the overwhelming majority of the Republic’s population identifies as Muslim, no presidential candidate has been in any hurry to touch upon the topic of religion in their election manifestos. 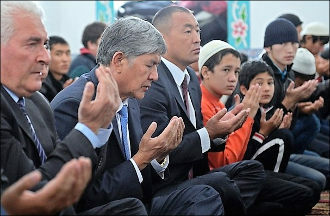 Is the political elite ignoring the burning questions and challenges posed by the rise of religious extremism in Central Asia today? 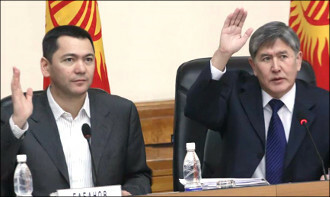 If the presidential elections in Kyrgyzstan, scheduled on 15 October, would have conducted today the clear winner would be Omurbek Babanov. The charismatic, strong-willed and young politician, he has the advantage above all his competitors. And first of all far from the candidate from the party of power Sooronbay Jeenbekov. And it frightens someone. Babanov will become president if the elections are fair, about most independent observers cast huge doubts on including me. Therefore, the vilest method of denigrating a competitor is active - the ethnic. “Krysha” (or “krisha”) in Russia means “roof” or “cover”. The term born in the 1990s when the rule of law was weak and racketeers protected vulnerable entrepreneurs from other gangsters for a fee or a share of its gain. Later, central or local government officials started "covering" business themselves. Historically, whenever crime bosses amass a particular influence in a society, they try to legalise themselves – through business by buying up shares in large firms under a false name, or through politics by standing for public office or holding positions in the bureaucracy. 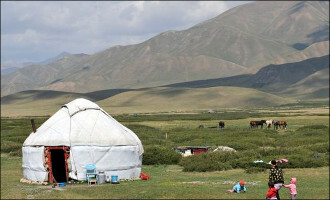 Same is in Kyrgyzstan. On 12 September, the District Court in Bishkek sentenced journalist Zulpukar Sapanov to four years in prison finding him guilty of "inciting inter-religious hostility". 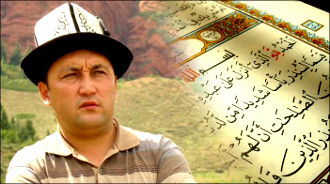 Sapanov wrote and published the "Kydyr sanjyrasy" (literal translation - "Genealogy of the forefather Kydyr") book in which the author merely noted that once in the ancient times the Kyrgyz were not Muslims. 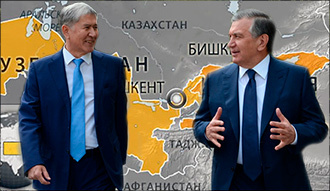 On 5 September, Uzbek President Shavkat Mirziyoyev arrived in Bishkek to sign the agreement on the Kyrgyz-Uzbek border. Many experts, including the leadership of both republics, are considering the first visit of the Uzbek president to Kyrgyzstan in 17 years as a sign of warming of bilateral relations. The delimitation and demarcation of 80 percent of the border are on the agenda. Skeptics point out that the treaty was prepared hastily and it is still unclear what specific sections of the border are disputed. 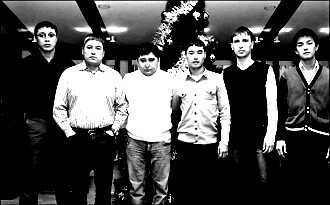 Kyrgyzstan: Kamchibek Tashiyev freed. Parliament’s dissolution imminent? Kyrgyzstan's Osh Mayor Myrzakmatov: The city savior and Man of Year? Who will succeed Akhmat Bakiev? 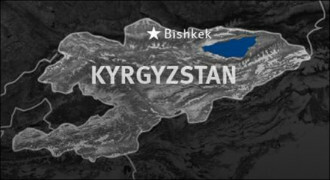 War in the South of Kyrgyzstan: Present for Bakiev or Osh, STOP! 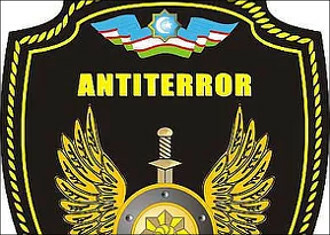 Southern Kyrgyzstan: May the criminal fights lead to ethnic conflicts? Black Tuesday in Talas. What will happen next? How to make Bishkek more comfortable for visitors and citizens? 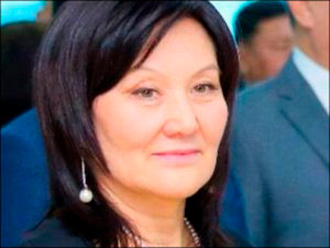 Kyrgyzstan: Who sponsors the murder of dissidents? Kyrgyzstan: Who will take the Bishkek house of Askar Akaev?